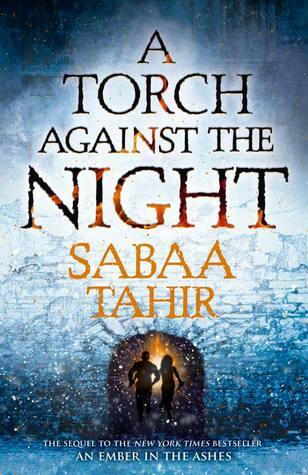 Blurb Description: Elias and Laia are running for their lives. After the events of the Fourth Trial, Martial soldiers hunt the two fugitives as they flee the city of Serra and undertake a perilous journey through the heart of the Empire. 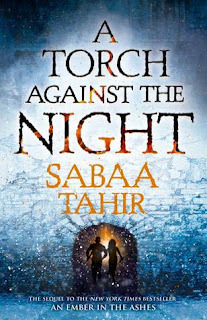 Laia is determined to break into Kauf - the Empire's most secure and dangerous prison - to save her brother, who is the key to the Scholars' survival. And Elias is determined to help Laia succeed, even if it means giving up his last chance at freedom. 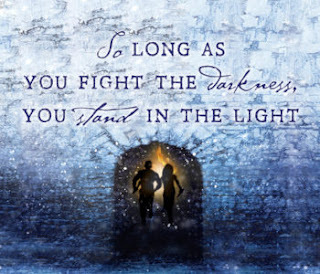 But dark forces, human and otherworldly, work against Laia and Elias. The pair must fight every step of the way to outsmart their enemies: the bloodthirsty Emperor Marcus, the merciless Commandant, the sadistic Warden of Kauf, and, most heartbreaking of all, Helene - Elias's former friend and the Empire's newest Blood Shrike. Bound to Marcus's will, Helene faces a torturous mission of her own - one that might destroy her: find the traitor Elias Veturius and the Scholar slave who helped him escape... and kill them both. There is so much I love about this book. There is so much about this book that could have been better, and I don’t know how to start. 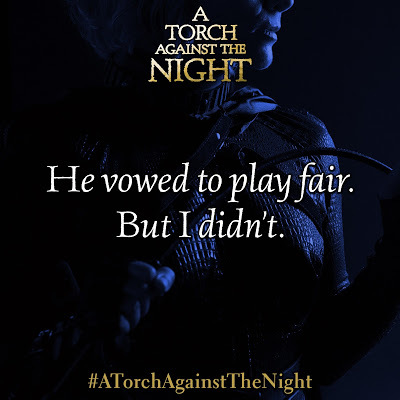 It was a year and three months after I put down the prequel did I get the chance to read A Torch Against The Night, and yet, for Laia and Elias and Helene and the rest of the billions living in the Empire, it was mere MINUTES. Needless to say, I was pulled in. After reading TWO pages in her viewpoint, I knew I NEEDED MORE. I didn’t think much of her in book one, just thought she was an unnecessary complication to the inevitable Laia-Elias soul deep love but OH SAINTS ABOVE. Helene Aquilla is BADASS, LOYAL, BRAVE and in so much pain, I just wanted to reach in and hug her, despite the fact that she would probably run her scims across my throat, but still. A truly WONDERFUL character development, and I absolutely loved (and hunted down) her POV Chapters. Also, HELIAS SHIPPER HERE. Go away and drown somewhere Laia. Yes, I’m evil. And possibly sociopathic, but some of my FAVOURITE Elias scenes were when he LET GO of his human side and let the years of intense Mask training take over, to protect and to survive. It was BEAUTIFUL to see such a well-tuned killer mind at work, and really gave it all this raw authenticity. THERE WAS SO MUCH CHAOS, ALL OVER THE PAGES, (Chaos = Plot Twists, Coups and DEATH) THAT I LOVED IT. I was so prepared for an ending that would DESTROY me, or hoping for it at least, but I flipped a page, and all the chaos had VANISHED. We were suddenly in a calm period that DID NOT go with the theme of the book and it made me want to cry. All in all, a BRUTAL, BEAUTIFUL book that had the potential to be EVERYTHING, but fell slightly short of the mark. 4 stars. AND I’M WAITING FOR THE SEQUEL. Have you read book one, An Ember in the Ashes? Did you devour it like a PROPER BookDragon? What is your opinion on fantasy novels? Which fantasy tropes do you hate? Don't forget to leave me your blog links!